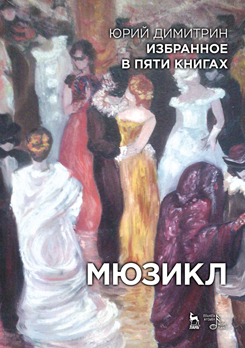 The series of books includes the compositions of a playwright Yuri Dimitrin “The selection” in five books. The third book contains the libretti of the authors of rock operas “Orpheus and Euredica”, “Flemish legend” and a musical “Masquerade”. The appendix of the book contains a libretto of the rock opera “Hard to be a God” (based on the novel by Strugatsky brothers), which has not been staged yet and the music for it has not been written.